Why has it taken me so long to sit down and do this? It has been almost two months since my first blog post, yet I was hoping at this point to have a higher quantity of uploaded posts. In the process of starting the van project, one of my initial goals was to share my experience with those close to me, but also to strangers over the inter-wide-web that are interested in van life, living off-grid, and/or how to convert a van. However, this has proven to be difficult to do. In some ways it is nerve wracking sharing intimate spaces of your life with others, but I also realize that it has been such a monumental goal in my mind, that initiating the process has proven to be more difficult that I had anticipated. Yet, starting is always the hardest part right? So here we go. I have set goals to write and publish a blog post at least one time per week, so keep a lookout for more material coming you way. I foresee the posts ranging from more casual conversations and anecdotes from my time living in Roxi, to other more analytical posts incorporating literature that I find interesting or pertains to my van life. So… where do I begin? Whelp, I may as well start from the beginning of my time living in the van which has now been about 2 months. After driving back from Utah where I had spent the summer converting the van, I was faced with a couple large and daunting, but necessary tasks that I had to complete prior to leaving for school. The last two weeks of my summer I felt a bit like a mad woman. The three largest tasks that needed finishing were a) cutting and upholstering my seat cushions/ bed mattress, b) fixing the solar setup (which I later found out was malfunctioning due to problems both with the controller and mixed-up wires) and c) plumbing my sink to fresh and grey water tanks. Cushions covered and installed in the van! The couches and bed were complete! In order to stay in line with my initial goals of using non-toxic materials in the van, I purchased two 2-inch natural latex mattress pads. Then, using a serrated bread knife, I cut each mattress into the proper dimensions that would fit onto my two benches, with back rests the proper size to fill in the center leaf that would fold out to transform the seats into a bed. Additionally, I visited a massive fabric store where I was met with the ominous task of sorting through the thousands of fabric rolls to identify tags that indicated either hemp fabric, or natural linen fabric. After couple of hours raking through the monstrous piles, I ended up choosing a natural linen fabric that was not treated with dye. What I thought was going to be a relatively quickly errand, turned into a challenging task that required research and deciphering the complex supply chain. This experience echoed similar obstacles that I had been met with through the entirety of the project. Unknown and muddled supply chains coupled with difficult sourcing illuminated many of the pitfalls of pursuing environmentally-friendly products — accessibility. There is a growing movement of ‘conscious consumers’ striving to become more aware of the products they use, where they come from, and their ecological and/or social impacts. Companies like Patagonia have made strives to support initiatives that either utilize organic cotton, or reduce microfiber plastic filaments released from clothing when washed. However, I argue that more needs to be done, especially pertaining to products such as building materials, furniture, and upholstery fabric. We have ample technology to be designing new innovative products that reduce the environmental impacts associated with product production and use. Additionally, there are many avenues that could use marketing as a powerful tool to disseminate information about product supply-chains. In the end, increasing transparency should be an overarching goal — consumers have the right to know how there products are being made, where they are coming from, and the overall impact on the environment. After finishing cutting and upholstering the seat cushions/ bed mattress, I moved onto troubleshooting the solar system. It had been a couple of days since connecting all of the various components when suddenly the solar charger started beeping indicating inadequate voltage reaching the batteries. I first started to decipher the problem by going back through the steps to setup the charger. Following many phone calls with the manufacturing company, I realized that I had set the charger to the wrong voltage. The array is currently setup in series, with an overall voltage of 48. However, once reaching the charger, the voltage is stepped down to 12v. Once the charger was correctly programmed, there still seemed to be some aspect of the solar system malfunctioning. After many hours using a volt meter to test different points along the setup from panels to batteries, I was able to find that one of the positive wires had been attached to the grounding block, instead of to a fuse. Finally, there was no longer an alarming beep coming from the charger, and the sun was beating down on the arrays and charging my batteries. Lastly, I had to design and build out the plumbing system. I had known early on in the design process that I wanted a very simple, functional plumbing setup, with two 5 gallon freshwater tanks fed with a foot pump, and two steel buckets for grey water. I decided to opt out of installing a electric pump and having an external fill and drain for water due to the types of climate I will be living in. From November through March, temperatures will constantly be below freezing. Therefore, I was drawn to the idea that if my water were to freeze, I could simply detach the jugs, bring them into a heated room (ie. of my friends’ house) and allow them to thaw. Additionally, having an internally controlled water system removes the need to drill additional holes into the van which would reduce the overall insulation value. I ran into a couple of problems when installing the sink and plumbing, mostly having to do with small leaks from inadequately closing the line for hot water (which I do not have). Additionally, after living in the van for a couple of weeks, I have been trying to trouble shoot and change the type of flex hose I had initially used as it taints my water and causes it to taste like plastic. I have now removed the flex hose fed into the water jug with a piece of 1/2 in PVC. One of the aspects that I have found fascinating is seeing how much water I use on a weekly basis. As of now, I go through approximately 5 gallons per week, mostly attributed to washing dishes. This value excluded the water I use to shower and do laundry. Being in charge of manually filling and emptying my water tanks has led me to use water more wisely and efficiently. Yay for environmental reasons, but also yay for reducing the amount of times I have to empty and fill. These three components of the van build consumed the last days of my summer; however, life in the van would not be possible without them. The long days filled with frustration ended up being incredible learning opportunities. While in the moment it felt like wasted time, in the end I have learned the intricacies of solar and plumbing, far greater than I otherwise would have if the process had been easy. These feelings have been echoed a bit in my challenge of sitting down to writing about my experiences over the past two months in the van. Compiling a blog post about the steps taken to convert the vehicle and daily aspects of van life is a daunting, sometimes frustrating task. However, as I heard someone say last night, I need to “trust the process.” I have a feeling, no, I know, that months from now, even years, I will cherish looking back on these rambling thoughts and be transported back to the amazing moments of van life. Additionally, I hope that through my posts I can answer any questions that people might have regarding scaling down, living in a van, and/or reducing daily resource use. So there we go, another post is finally up. Keep an eye out for another post next week when I will begin to expose what daily life in Roxi is like, and the few obstacles I have faced thus far while living off-grid in college. With the Holiday’s right around the corner, it is time to start finding gifts for your friends and family. Why not make a difference with your gift? Check out the items below for creative, fun, and beautiful ways to spread the holiday cheer with the environment in mind. Also, with Black Friday approaching, make a goal to try and avoid purchasing fast-fashion and unnecessary goods just because they are a good deal. Instead, try something like #OptOutside and Blue Friday. REI promotes people to get outside, #OptOutside, on Friday to explore and enjoy the outdoors. Similarly, United by Blue is promoting Blue Friday as a day to pick up trash from a local park or beach, even if its for just an hour. Try these fun and enjoyable ways to work off the mashed potatoes and pie from the day before! Back to the Holidays. These are my top 10 items (in no particular order) that will bring happiness and joy to your loved ones, without degrading the environment. 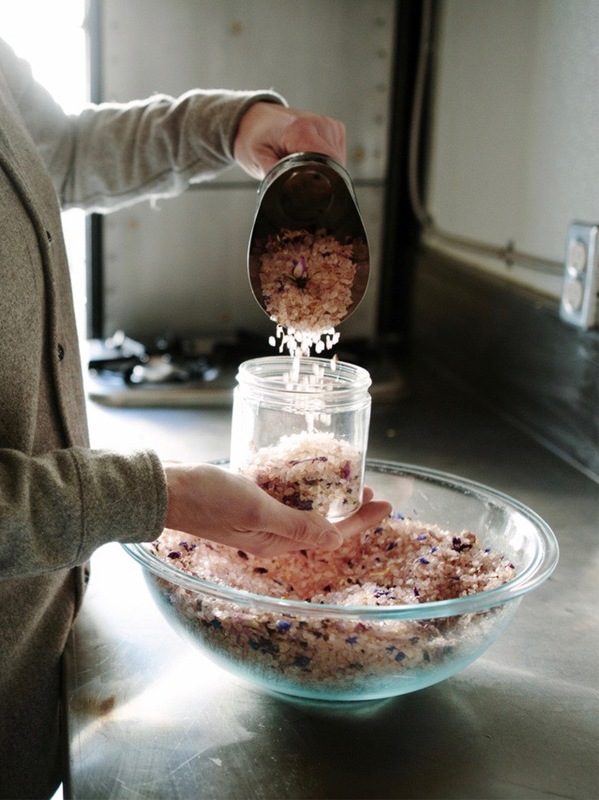 with these natural skincare products made from sustainably harvested plants, packaged in reusable glass containers, and made in an amazing mobile ‘Wilderness Lab’ that is solar powered. 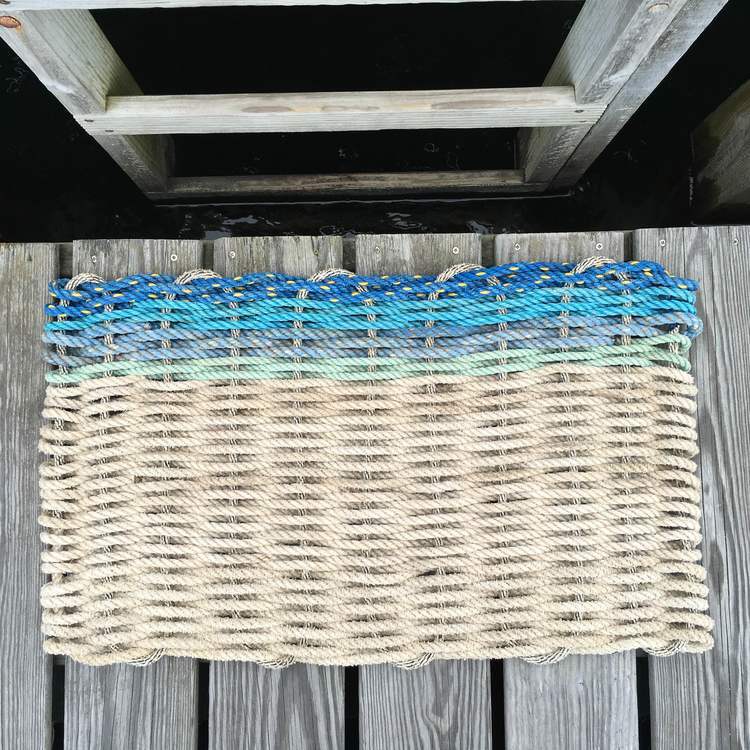 with these beautiful and durable doormats made from recycled lobster rope. Handmade in Maine, the lobster epicenter. with these vibrant backpacks, duffels, and accessories made out of recycled vinyl billboards. with these beautiful napkins and hand towels printed on sustainable textiles, such as hemp, produced in the US. your old outfit staples with these colorful and patterned t-shirts and apparel made out of 100% hemp or a combination of organic cotton and hemp. Promoting a Hemp 2020 campaign to try and get every person in a hemp tee by 2020.
by switching to reusable water bottles, mugs, to-go containers, cups, and straws. Plus, bonus feature of being vacuum sealed to keep your beverages and food hot or cold for hours. while promoting healthy eating by giving the gift of a CSA (Community Supported Agriculture) share. Check out this link and put in the zip code of your friend or family member to see if there is a CSA in their area. 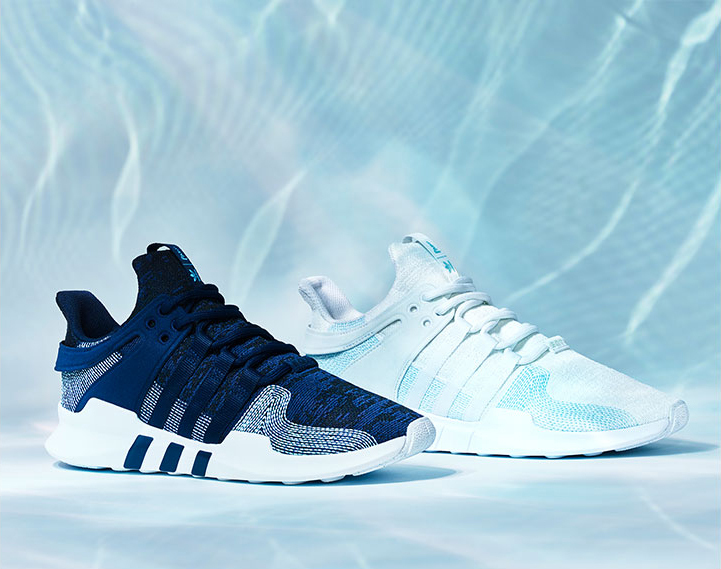 with footwear by Adidas & Parley for the Oceans that is made from plastic collected from the ocean and coastal areas. Through purchasing their footwear, you can support efforts to reduce oceanic plastic pollution. and spice up your sandwiches and snacks with these beautiful and reusable bags and wraps. with these delicious, sustainably harvested mushrooms forged and grown on a family operated farm in Jamaica, Vermont. The dehydrated mushrooms come wrapped in biodegradable packaging and Terrafunga is a partner of 1% For The Planet. For me, it is so much more than opening my back doors in the morning to a gorgeous view, or the ability to park at a trailhead for an adventure early in the morning. I have decided to embark on a journey to live in a self-converted van for my senior year of college to hold myself accountable - accountable to my surroundings and the natural world. I hope that in turn I can lessen my impacts on the environment through becoming more conscious of my energy demands, water usage, and food sourcing. But what can I say, I am also pretty stoked to wake up, roll out of bed, walk 50 feet, and go on an early morning adventure. My nomadic vanlife journey started two summers ago when my boyfriend and I purchased a 1995 Dodge Ram Van off of Craigslist, converted the interior into a cozy but simple home, then hit the road to adventure around the U.S.. What first began as a way to explore while bringing along all of our toys like bikes, kiteboards, and SUP’s, turned into a passion for life on the road. Waking up each day we had the ability to decide where we wanted to go, what we wanted to see, and how we wanted to explore. However, these summer road trips would inevitably come to an end as leaves started to change and it was time to go back to school. Yet, one day I was reflecting on my first summer of vanlife while sitting in the library and a lightbulb went off. I realized that I could combine my love for a life on the road with my goal of living off-grid by committing to a year in the van. For the past year and a half my mind has been consumed with envisioning what vanlife - college edition - would be like. My time was spent trying to determine if it made sense environmentally, financially, and socially, often referred to as the ‘triple bottom line.’ Additionally, I was examining those pesky details such as where I would park at school, use the bathroom, or do my homework. After I sorted out these details, then came the hard part. I pulled the trigger and sold my car to buy my navy blue Promaster named Roxi. This past summer I spent countless hours in the 90 degree Utah heat learning the in’s and out’s of insulation, how to build cabinet boxes, how to wire my solar system, and how to install kitchen plumbing. I laugh as I think back to the moments when I was struggling to lift 4’x8’ pieces of ¾” MDF onto the table saw by myself. Or when I had a hard time seeing where to drill because my eyes were filled with tears of frustration (this only happen once, I promise) after having to remeasure and rebuild a cabinet box for the fourth time. In the end, after hours of daydreaming, planning, and building, my dream has come to fruition. I am currently sitting on a bench in my van, which also turns into my bed, proudly looking around at what I have accomplished and excited for the adventures to come. Inevitably I will face challenges and have additional van-related tasks everyday, such as brushing off my 600W solar array after every snowfall, and manually filling and emptying my water tanks. However, I know that my efforts are worth it. Through my off-grid van adventure, I hope to not only live in harmony with my natural surroundings, but to also inspire others to push the status quo. Many people questioned my ability to convert the vehicle myself and live comfortably off-grid. Others suggested that I wait until graduation to pursue such a project. Yet, my desire to protect the incredible natural landscapes around me made it impossible to wait any longer.